C: QSI683 and Moravian G2-8300 with Baader LRGB filters and Astrodon 3nm Ha filter. Totalling 43 hours and 20 minutes. 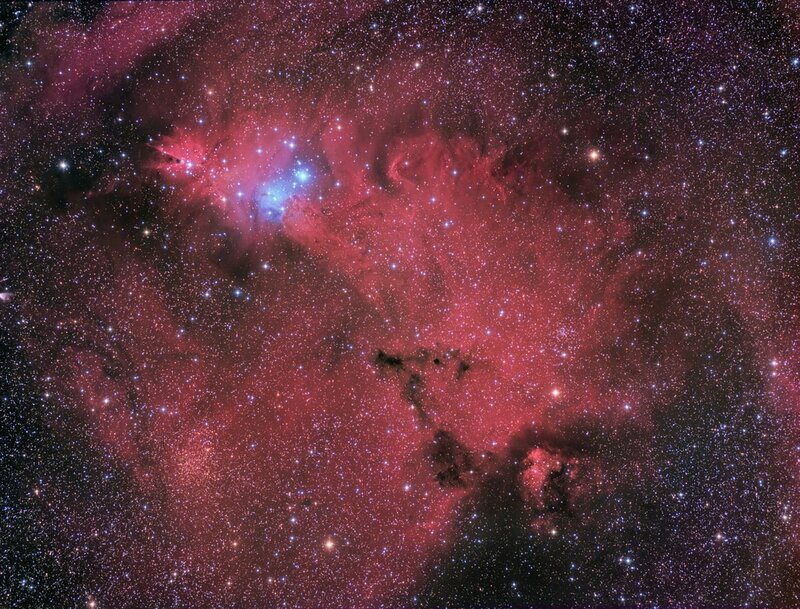 ​The Cone Nebula (Upper left of the image) is a complex region of hydrogen gas and interstellar dust approximately 2.700 light years from Earth that interact to form a very tortured and twisted landscape. The Cone itself is formed by the interplay of ionized gas and a dust cloud. 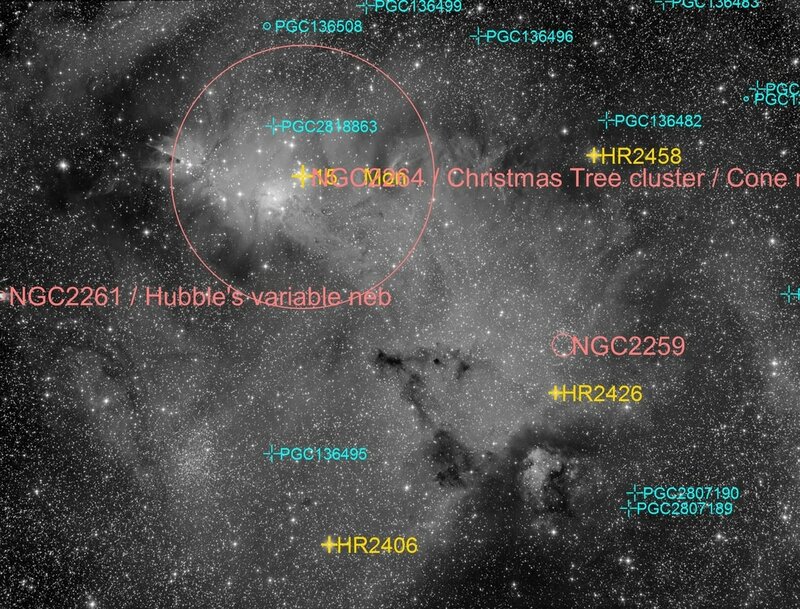 The brightest star in the image, 15 Monocerotis (within the blue reflection nebula), is part of the Christmas Tree Cluster. 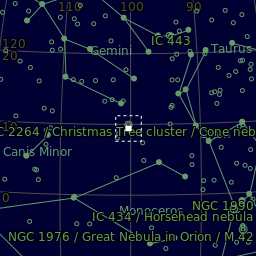 A grouping of about a dozen bright stars to the left of 15 Monocerotis form the triangular shape of the Christmas tree, with the top of the tree being the bright star just right of the Cone itself. Below and to the right of 15 Monoceros is a region known to amateur astronomers as the Fox Fur Nebula. This complete area is very dense in the Hydrogen Alpha wavelength, which is why the area has such a reddish hue.